Shari Redstone’s family company, National Amusements, and the CBS board of directors have been in talks for weeks, trying to reach a settlement in their messy, public legal dispute over control of CBS. The two sides would like to avoid heading to trial, which is expected to begin Oct. 3, according to an individual familiar with the talks. Members of the CBS board and representatives for National Amusements met over Labor Day weekend. According to the individual, however, nothing is expected to happen imminently. Representatives for National Amusements and CBS declined to comment. In May, CBS filed to sue Redstone and National Amusements, through which she controls roughly 80 percent of the voting power in CBS. CBS, and chief executive Les Moonves, argued that Redstone had shirked her duty to shareholders by pushing for a merger with Viacom, which CBS saw as potentially harmful to the value of the company. Moonves and CBS also laid out a plan to issue dividends that would dilute Redstone’s control of the company altogether. 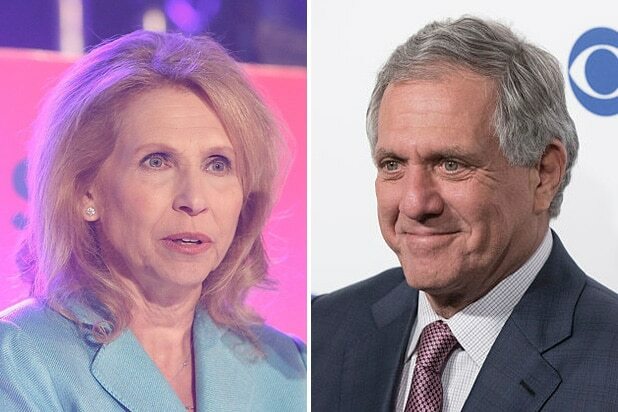 Also Read: What Are CBS CEO Les Moonves and Shari Redstone Even Fighting About? Lawyers for both sides are expected to appear in Delaware court Sept. 14 for a hearing to compel additional documents in the complex case. 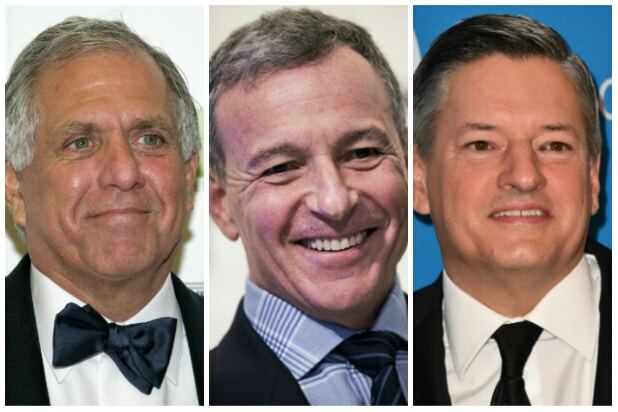 Adding to the debacle is the large question mark looming over Moonves’ future. Industry experts have previously told TheWrap that the CBS chief could be ousted in his battle with Redstone. In July, the New Yorker reported on sexual harassment accusations from six women that further threatened his future. CBS is currently investigating the accusations. Moonves issued a statement in July that said, in part: “There were times decades ago when I may have made some women uncomfortable by making advances. Those were mistakes, and I regret them immensely. But I always understood and respected – and abided by the principle – that ‘no’ means ‘no,’ and I have never misused my position to harm or hinder anyone’s career. There's no business like show business, and few bank on that fact yearly quite like Hollywood's top executives. Scroll through our gallery for to see top TV, film and digital executives ranked by their 2017 executive compensation (updating as more companies release their top execs' packages). Look, Dish Network is making no one rich -- but a 41 percent annual bump in pay ain't bad. Despite the iPhone X receiving a collective "meh," Apple is still cruising under Cook's stewardship; Apple hauled in a record-setting $88.3 billion in revenue during Q4 of 2017. Also Read: Would You Pay Facebook Not to Sell Your Data? The man at the opposite end of Moonves' very long (we imagine) negotiating table. Bakish is tight with National Amusements controller Shari Redstone, and both of them want the Viacom chief to be Moonves' No. 2 should the re-merger happen. Netflix added 20 million streamers and unleashed a slew of new content in 2017, including "Icarus," the drugs-in-cycling documentary that went on to win an Oscar. At the same time, its share price jumped 50 percent (before rocketing in 2018). Sarandos should take a bow -- and buy a very nice villa in the Mediterranean with his raise. The Netflix head honcho joined the billionaire's club for the first time in 2017, thanks in large part to the company's gamble on original content paying off in spades. He's not taking a victory lap yet, though, with the streaming giant still firmly set on taking over Hollywood. At CodeCon 2017, he said he's always telling his content team to "get more aggressive," rather than "drive toward conformity." It’s still good to have “The Walking Dead” — even this lower-rated version. Roberts and Comcast recently added an interesting wrinkle to Disney's plans to buy Fox, by bidding to buy all of U.K. broadcaster Sky. Also Read: What Does Comcast’s $31 Billion Sky Bid Mean for Fox and Disney? Burke's overall take for 2017 was roughly flat compared with 2016, but the NBCUniveral CEO managed to again bring in more than his boss at parent company Comcast. Bewkes damn near matched his entire 2016 pay in 2017 stock options. Sometimes it's not so terrible for your company to be bought out. (You know, if the DOJ allows it.) Half of the Bewkes stock haul covers 2018, too -- an incentive to stick around through this merger. CBS has been "America's Most-Watched Network" for more than a decade under Moonves, but is any amount of money worth that headache that this possible realignment with Viacom comes with? OK, still yes.